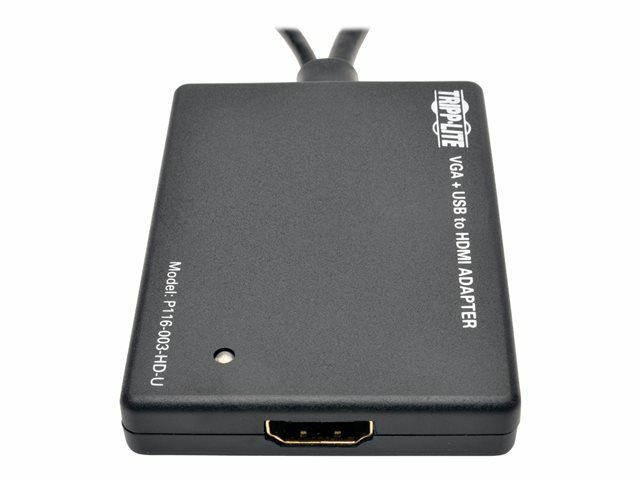 The P116-003-HD-U VGA to HDMI Converter/Adapter saves you money on costly computer upgrades by converting a VGA video signal for viewing on an HDMI projector, monitor or television. You can display a rich high-definition signal in your home audio/video setups, media presentations or digital signage using your tried-and-true analog source equipment. 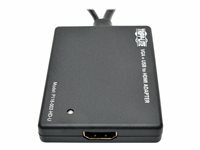 The unit is ready to use right from the box with no software or drivers to install. 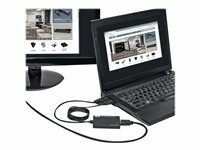 It’s powered via the built-in USB cable, so no external power supply is required. 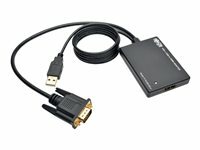 Connect the built-in VGA cable to your computer’s VGA port and the built-in USB cable to your computer’s USB port. 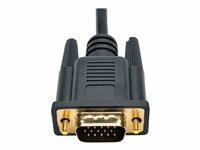 Then, use an HDMI cable (such as Tripp Lite’s P568-Series) to connect the P116-003-HD-U to your HDMI display. 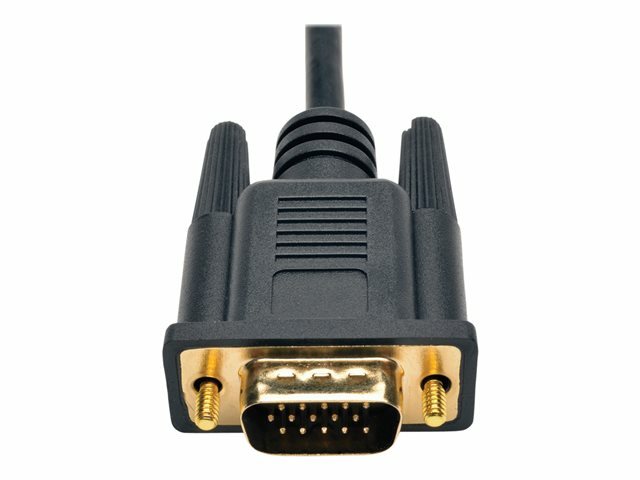 The LED will indicate when the unit is properly connected and when it is transmitting video. 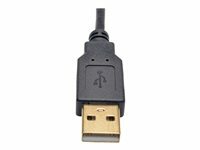 In addition to high-definition video resolutions up to 1080p, the unit supports 24-bit True Color (8 bits per channel) and video transfer rates of 6.75 Gbps (2.25 Gbps per channel). 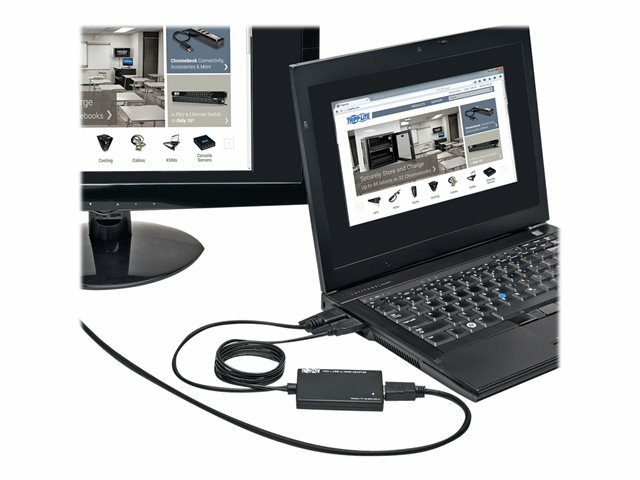 Small enough to carry in your pocket, backpack or laptop bag, the P116-003-HD-U works with all operating systems. 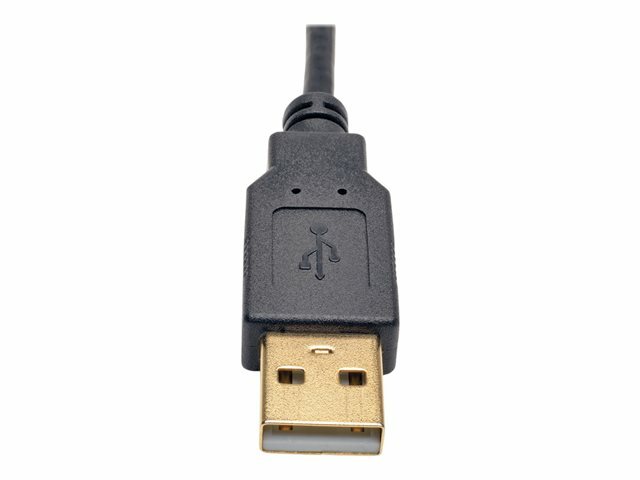 When connected to a Windows computer, it also supports USB audio along with the HDMI video signal.